Great Blue is one of the best slot machine games which have been developed by casino gaming provider Playtech. The online slor game Great Blue is a high variance or also known as a highly volatile slot. This means in layman terms that Great Blue has the propensity to pay out big. Situated in an underwater theme, Great Blue features stacked wilds, great effects and longevity. To get the Great Blue bonus, you should expect to get at least 3 Sea Shell symbols, and it does not matter where on the reels they will come out. Then the bonus is triggered. You go down to the sea bottom, and see what it hides and how luck can make you happy. So 8 free spins come to you, with a 2x multiplier. 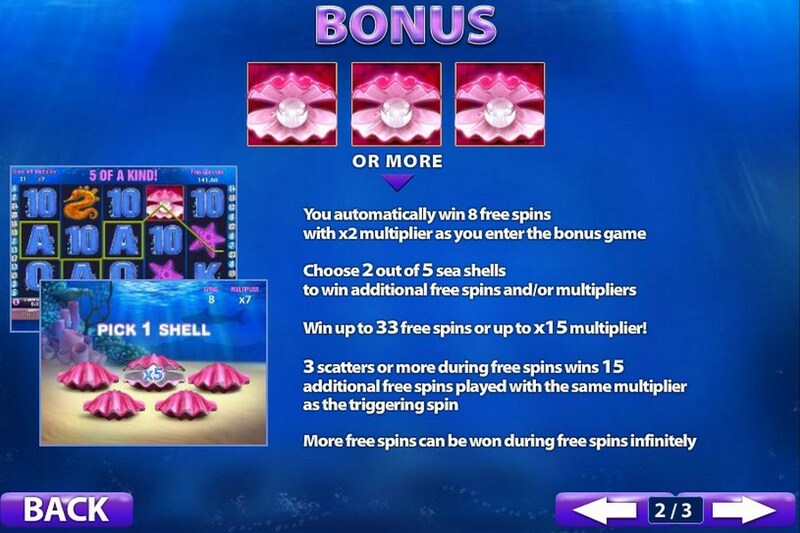 Then you must also make a choice: pick out 2 of the 5 sea shells, and good luck will bring you more free spins, plus multipliers. 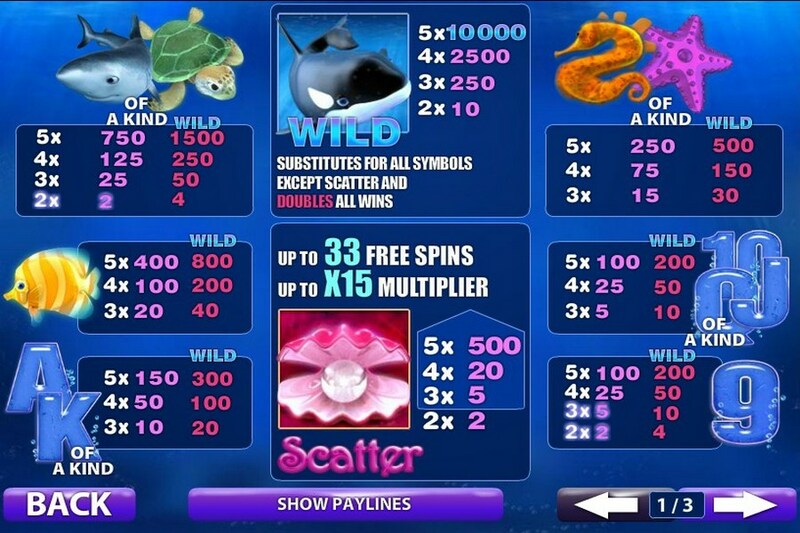 In total, the number of free spins you can be awarded in Great Blue is 33, and the multiplier can reach 15. As the free spins go on, luck can make things even more pleasing for you: with at least 3 scatters, you will get 15 more free spins, at the same multiplier. Play on and with luck on your side you can get virtually unlimited free spins. 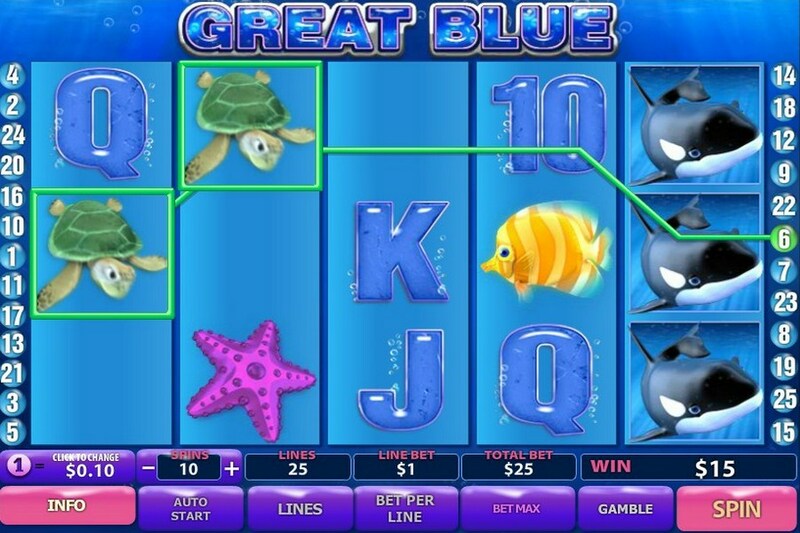 Playtech’s online slot game Great Blue is also available as a mobile slot. You can marvel at the creatures in the ocean world on your mobile device, as the killer whale makes its journey under water, and passes by spinning marine creatures, turtles, starfish, and swims by sharks, too. In the mobile Great Blue, the graphics are rewarding, and the video quality of the winning symbols is enjoyable as well.